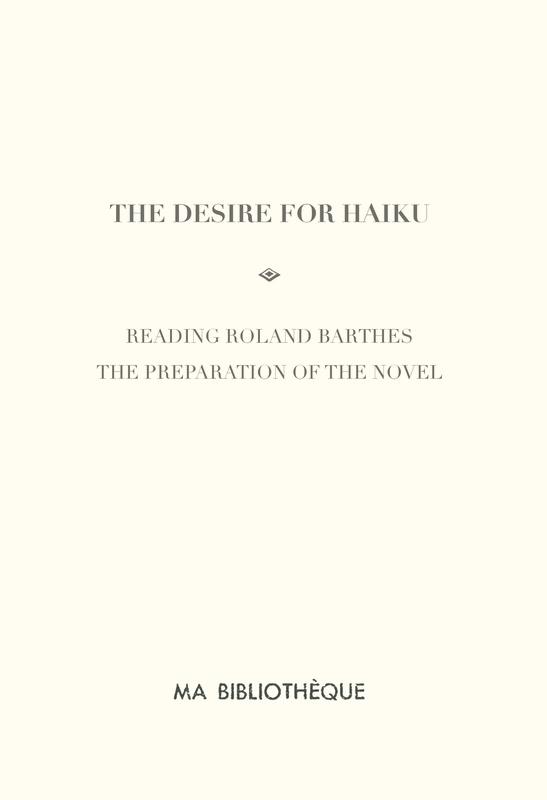 For two years we have been reading The Preparation of the Novel by Roland Barthes, the collection of the series of lectures he gave at the Collège de France between 1978 and 1980, completed shortly before his death in 1981. He declared his intention to write a novel, and in this pedagogical experiment, explores the trial of novel writing. 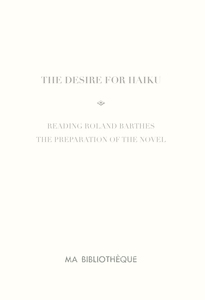 Our haikus are Barthes’s haikus, or rather, our haikus are constructed only of his words, extracted from the chapter entitled ‘The Desire for Haiku’, one from (or even for) each page.